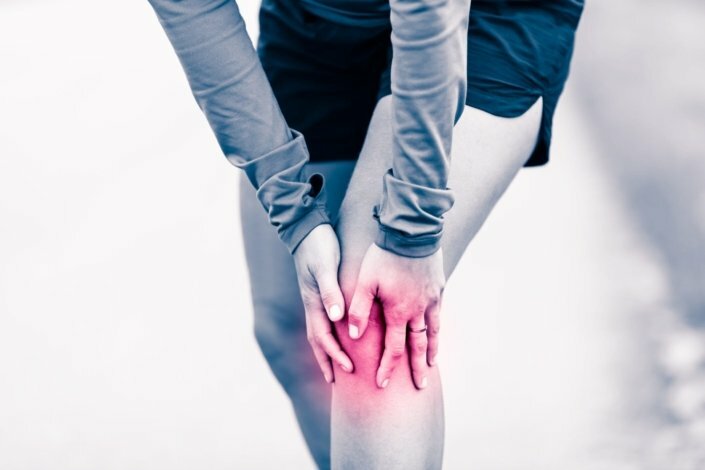 Patellofemoral pain is a painful knee condition. It is more common in women than in men. It’s sometimes called “runner’s knee.” It has to do with the way your kneecap (patella) moves on the groove of your thigh bone (femur). Symptoms include pain under and around your kneecap. The pain can get worse when you’re active. It also can get worse when you sit for a long time. This condition can occur in one or both knees. It can lasts weeks and months. The exact cause of patellofemoral pain isn’t known. Doctors think it is related to how your leg is aligned. Also, it may be your muscle balance. Injury does not cause it. Your doctor will ask you questions about your symptoms. He or she will do a physical exam. This might involve pressing on your knee and moving your leg around. You may need an X-ray, CT scan or MRI to look at your bones and soft tissue. Can patellofemoral pain syndrome be prevented or avoided? The condition cannot be prevented or avoided. However, certain things can reduce pain and discomfort. This includes restricting your activity, using over-the-counter pain relievers when needed and physical therapy. Treatment includes a combination of things. This includes medicine, therapy, icing and restricted activity. Taping your knee, the right shoes and shoe inserts can help. Over-the-counter pain relievers include acetaminophen (Tylenol), ibuprofen (Advil, Motrin IB) or naproxen sodium (Aleve). Surgery may be necessary in some cases. This would include arthroscopic surgery. The doctor will make a tiny incision in your knee. He or she will insert a thin, flexible tube attached to a camera into the incision. This may allow your doctor to repair damage with special instruments. In severe cases, surgery can realign the angle of the kneecap. It also can relieve pressure on the cartilage. Take a break from physical activity that causes pounding on your legs. This includes running, volleyball or basketball. Switch to swimming or another low-impact activity. Nonimpact elliptical trainers are helpful. That’s because these machines support your body weight. They put less stress on your knees. Slowly return to your normal sports when your knee feels better. Talk to your doctor about your shoes. Proper shoes can help knee pain. An arch support insert from a shoe store can be helpful. It is less expensive than a custom-made support or brace. Ice your knees for 10 to 20 minutes after activity. This can ease the pain and speed healing. A medicine such as ibuprofen may relieve your pain. Talk to your doctor before you take this medicine. Talk to a physical therapist about exercises you can do at home. A physical therapist can show you how to do the exercises. He or she can give you a handout to remind you how to do them at home. Each exercise should take a few minutes. Doing them twice a day is a good start. Lie flat on the floor with your legs out straight. Bend your left knee toward your chest. Grip your thigh with your hands to keep the thigh steady. Straighten your left leg in the air until you feel a stretch. Hold the stretch for 5 to 10 seconds. Do the exercise 5 to 10 times then switch legs. What if medicine upsets my stomach? Does this condition happen in teens more than kids and adults? Once the condition goes away, will it come back again?